OpenRoads Designer introduces a new comprehensive modeling environment to provide construction-driven engineering to help accelerate project delivery of road networks, unifying design and construction processes from concept to completion. The application provides complete detailed design capabilities for surveying, drainage, subsurface utilities, and roadway design. 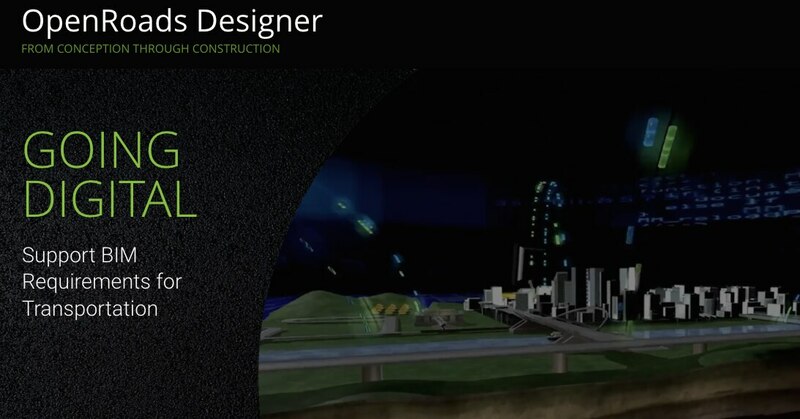 OpenRoads Designer redefines best practices for the generating design and construction deliverables and ensures the exchange of data throughout the project delivery and asset lifecycle. Using OpenRoads Designer, you can: Assemble context data rapidly from a variety of sources, such as point clouds, 3D reality meshes, terrain data, images, and geospatial information to bring real-world settings to your project. Achieve exponential modeling performance gains with the model-centric production of design deliverables. Enable users to share project information across teams, locations, and disciplines with precision and security. Use Catalog Services to manage and deliver functional components for consistent generative design across the engineering workgroup. Access Documentation Center to produce multi-discipline documentation for all work on assets across the project. Share realistic visualizations with the public and stakeholders to gather feedback, improve public engagements, and speed project approvals.